Wicked Moon is purely a work of fiction and labor of love. The setting is a real house called the Simes House. The location is the wonderful coastal village of Manomet in the Town of Plymouth, Massachusetts which is ringed by the Pine Hills, peppered with ponds, and fronted by Cape Cod Bay. The roads, landmarks, and businesses in Wicked Moon all exist. 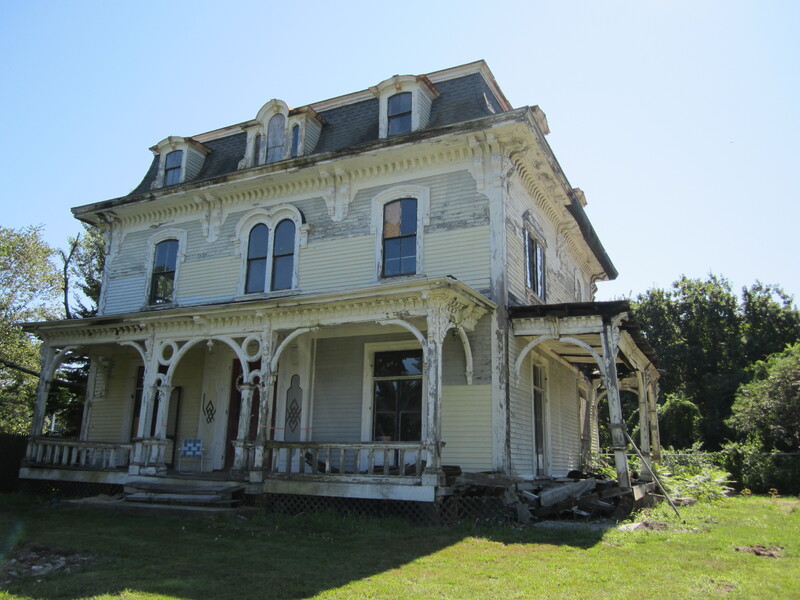 The Simes House is a rare, unusually ornate Mansard roof Italianate Victorian built in 1863. She was built by Joseph Simes, a wealthy transportation and investment magnate, as his summer resort. In old New England, buildings of such vintage are not generally considered especially aged or significant. Known to natives as the Manomet Mansion, over the years she fell into disrepair. Her massive size was no match for pockets wanting, but her granite was flush, her bones strong, floors level, and walls plumb. She was worth saving. The House and her remaining acre of land were taken for taxes. In 2010 the town proposed an article to tear her down and build subsidized housing. Villagers argued to Town Meeting that the Manomet Village Master Plan looked to preserve the village’s unique, historical features, and to create a village green in the vicinity of Point and State Roads. It was like a gift dropped from heaven, noticed, and meant to fulfill a prophecy of village unity and identity. Town Meeting declined the new housing, the non-profit Simes House Foundation was established, and a $1.5 million Community Preservation grant voted by Town Meeting toward historical restoration. The first floor is reserved for community events, upper stories for offices and apartments to sustain the premises. The yard is now Manomet Commons, there for all to enjoy. Wicked Moon is inspired by the aura of the old home and the grass roots effort to save her. More resources are needed to complete the House and Commons. Profits from this book are dedicated to the effort, and you can be part of it too. The Simes House and Manomet Commons can be visited at 29 Manomet Point Road, Plymouth, MA. Arrangements for tours or events can be made at directors@simeshousefoundation.org.